Double gate fold brochure is a handier version of a single gate fold brochure. It’s made up of 4 panels — two ends of a sheet are folded in the middle and the paper is folded again into half. 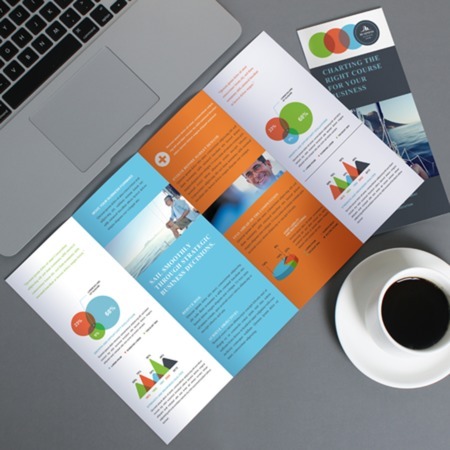 Choose among our standard paper sizes or personalize your own brochure dimensions. You can order UPrinting full-color brochures in 70 lb., 80 lb., 100 lb., paper and 10 pt. cardstock. These durable materials can be coated with glossy or matte finish. You can download our blank templates in different formats to help you in designing your prints. We’ll be glad to answer your questions about brochure printing and other services. Give us a call at 1-888-888-4211 or launch our Live Chat.